Economic integration will dominate the agenda at the BRICS summit, where the New Development Bank will hold its inaugural meeting. Expansion of SCO to include India and Pakistan is most likely on the cards. India looks to increase its economic and strategic multilateral cooperation with Russia at the BRICS and Shanghai Cooperation Organization summits that will be held this week in the city of Ufa. The Indian delegation led by Narendra Modi, who is visiting Russia for the first time in his capacity as prime minister, will also include finance minister Arun Jaitley, who will attend the inaugural meeting of the New Development Bank and the BRICS finance ministers. 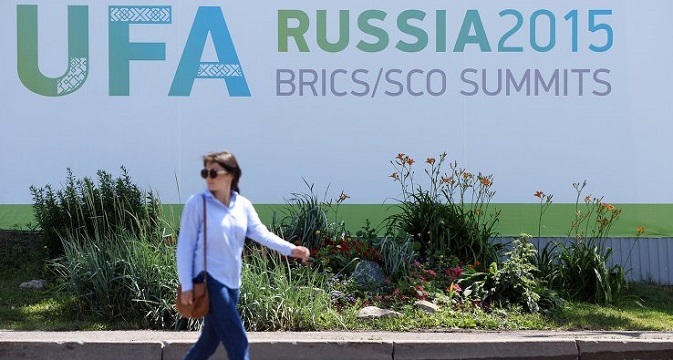 Although an economic vision document will be revealed at the summit, unlike last year’s edition in Fortaleza, Brazil when the countries agreed to the formation of the developmental bank and a currency reserve pool, no big-ticket deals are likely to be announced in Ufa. The New Development Bank was actually the brainchild of former Indian Prime Minister Manmohan Singh. The BRICS members could not come to agreement on its formation at the 2012 summit in Durban. It took a tremendous amount of negotiations before common ground was reached in Brazil last year, with India unhappy about not hosting the bank’s headquarters, which will be in Shanghai. A step that will likely be discussed at the inaugural meeting of the bank, initially headed by former ICICI Bank Chairman K.V. Kamath, is credit facilities in national currencies. India, which is also the second largest shareholder in the China-led Asian Infrastructure Investment Bank or AIIB, is keen to see that the BRICS Bank becomes a success, as it is increasingly frustrated with punching below its economic weight in the West-dominated Bretton Woods Institutions. There have been absolutely no leaks on the content of the economic vision document. It remains to be seen, what the next steps can be to integrate the diverse economies of Brazil, Russia, India, China and South Africa.Russia, which faced a currency crisis at the end of last year, is one of the key proponents of bypassing hard currencies and introducing trade settlements in national currencies. It has already taken the initiative with China and set up a mechanism to explore the option with India. Brazil and South Africa have showed a lesser degree of enthusiasm for such a move. Can the BRICS form an economic union?